It looks like your giant lobster is head over tail about the gorgeous sand castle you’ve made for it. The rock and the seaweed are also nice homey touches for the aquarium. 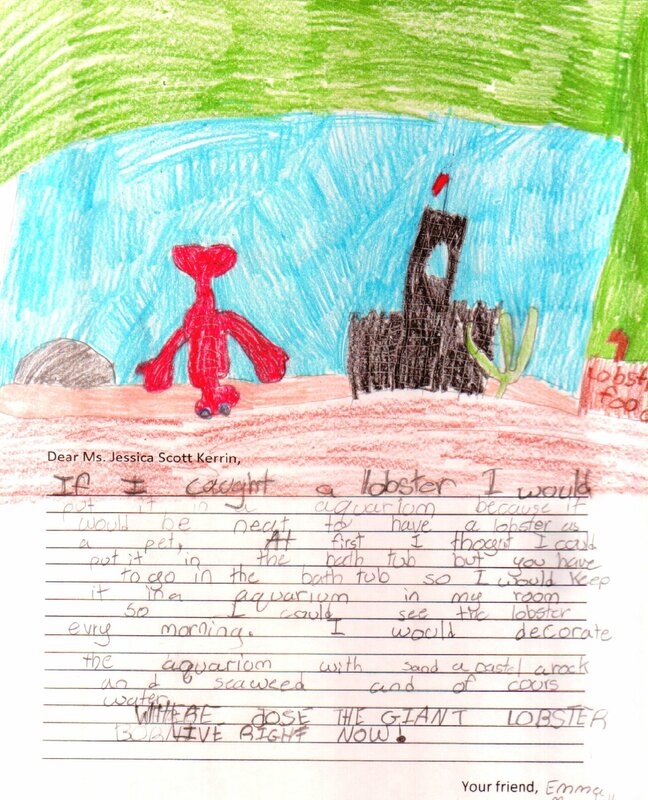 Maybe you’ll be a marine biologist like Graeme when you grow up!